Charter Flight Group charters private jet flights to Chicago for personal or business interests. With over 30 years experience, Charter Flight Group is a world-leader in private jet charter both domestic and internationally. Our flying consultants can be reached 24/7 and are happy to assist you whether you need a round-trip charter flight, one-way, on-demand, or are seeking an empty leg charter jet. So avoid the crowded terminals and long security lines by booking a private jet with Charter Flight Group today. Some of the keys to the success of CFG are professional staff, pristine luxury jets, and a firm commitment to safety. We only hire and retain private jet flight crews that have an extensive record of professional and courteous service. To ensure that all aircraft are maintained according to our exacting specifications, we hire only the most reputable ground crews with the best record of service. In caring for the safety of the aircraft and clients, CFG invites third-party auditors regularly to inspect not only the planes, but also paperwork, licensing, and maintenance equipment. Two of these we use regularly are ARGUS PRO and Wyvern. Finally, to provide you with the perfect private charter for your needs, CFG has amassed an impressive fleet of turboprops, light jets, medium jets, and even large and jumbo airliners. To give you some idea of the selection you may choose from for your private charter, we have several models of Lear, Cessna, Beechcraft, Hawker, Boeing, and Gulfstream’s. In addition, CFG has added many other makes to its fleet so as to provide each charter client with the exact specifications and exclusivity required for their flight. Chicago O’Hare International Airport: Located about 15 miles from downtown Chicago, O’Hare is easily situated off Interstate Spur I-190/I-90 which leads directly into the city. Dupage County Airport: Located well outside of the I-294/I-355 Loop in West Chicago, this small airport is a great location if your business requires that you be on this side of the city. Gary/Chicago International Airport: If your business requires that you be on the south-east side of the city, you can have your private charter flight take you to Gary. From there it is an easy trip northwest on I-90 into the Windy City. Chicago Executive Airport: This is often the choice of executives who take their private charter jet flight to Chicago for longer than a quick lunch with a client. Indeed, this airport has every possible amenity that a private jet executive traveler could want and is conveniently located toward the north of the city in the Northbrook section. Of course, there are many other airports from which to choose when planning your private jet flight into Chicago; your knowledgeable flight consultant can assist you in selecting just the right private jet for you. Of things to do and places to see, there is no shortage in Chicago. 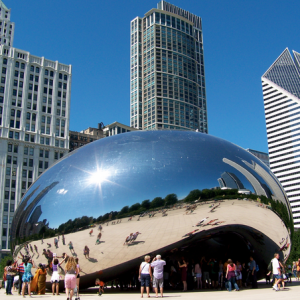 A culturally-rich city, Chicago has no less than 107 historic sites, 72 theater and art galleries, 47 museums, zoos, and aquariums, plenty of great golf courses, sport parks and arenas, luxurious spas, and festival events nearly every day. Of course, some of the musts while in the Windy city include Wrigley Field, the oldest Baseball Stadium in the nation and still home to the Cub’s; Michigan Avenue, which can only be described as the largest outdoor mall in the world; and Garland Park Conservatory. Chicago is home to important shipping routes on the Great Lakes. it is still a major rail center, and holding fast to its reputation for having too many major corporations to count, and new firms locate here very frequently. Some of the major players in the economy of Chicago include Bally, Boeing, Careerbuilder, Hyatt Hotels, MillerCoors, the National Stock Exchange, TransUnion, and World Book Encyclopedias. If one were to count the suburbs and surrounding cities, Chicago would certainly be home to more major corporations than few other cities. Expert flying consultants and private charter planners, the most experienced pilots, the best certified maintenance professionals, and the most courteous and attentive flight attendants will make you see why Charter Flight Group is a world leader in private charter jet flights. 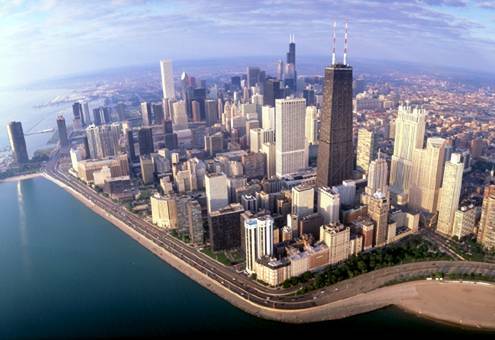 The luxurious, comfortable flight will cause you to arrive in Chicago relaxed and ready to meet the Windy City head-on. The reliability and exclusivity of your private jet flight will remind you that you have chosen the best.